Our company is among the most sought after offering GI Sheet to the clients. This product is made by our experts using high quality galvanized iron in compliance with latest market standards of quality. This product is thoroughly checked for its quality before supply so that there is no compromise in the quality. Leveraging over the skills of our qualified team of professionals, we are instrumental in offering wide range of Galvanized Roofing Sheet. 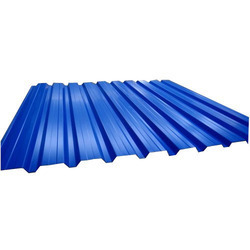 We are one of the trustworthy and renowned organizations, involved in offering a wide gamut of GI Roofing Sheet to our clients. 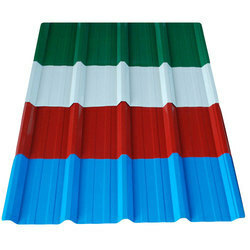 Matching up with the ever increasing requirements of the customers, our company is engaged in providing Galvanized Steel Roofing Sheet. Galvanized steel sheets are zinc coated sheets.